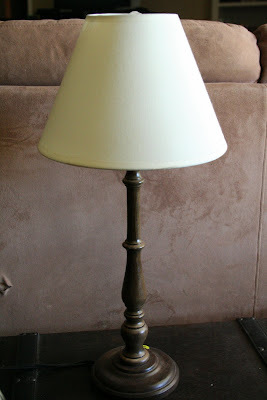 Wendy from the Shabby Nest is having a Frugal Friday party and I'm joining with some frugal lamp makeovers. so I just tore it in half, tied a knot in the back and then in the front in the same way I did for this lamp. I hot-glued a few edges under, set it on top of the dryer and we're good to go! Do you remember this little lamp for $2, also from a yard sale? 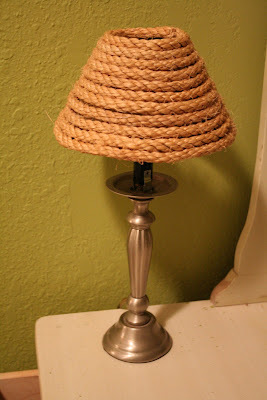 I remembered seeing someone in blogland making a lampshade with rope. I can't find it for the life of me~anyone?? I know Sarah and Kimba have made jute covered vases, but I swear someone did a lampshade. Anyway, I thought it would give some great texture to my desk top. About 5 minutes later, we have a new shade from some trusty rope hanging on the garage wall. I don't even think my husband will notice that a piece is cut off? Little, inexpensive touches in less than an hour (for both!) that make a big difference. LOVE the lamps! What a great idea. What great makeovers! Can't wait to see your laundry room. And I bet you could find the mystery rope lamp lady at Nester's Lampapalooza! 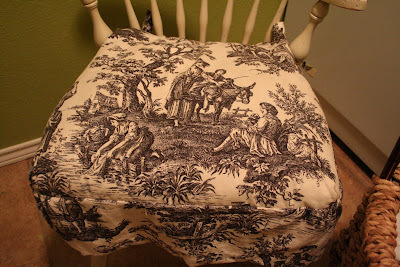 Okay, first of all-LOVE the toile! and second, that rope on the little shade is just the coolest! I would have never thought of using rope. Great makeovers! The rope was a great idea. But, I'm a huge sucker for toile. I have that same fabric for the curtains in my kitchen and living room, and for sofa pillows. Love, love, love what you did with that! You know how I love makeovers. Great lamp redos. The rope shade is just adorable. Hmmmm. 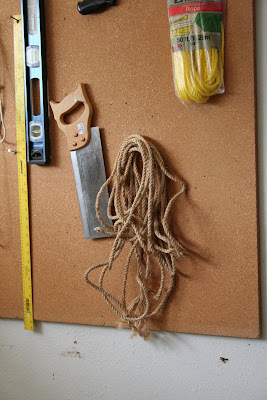 I need to scout out some rope in the garage. 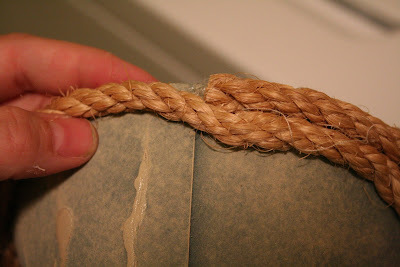 REALLY like the rope one..gives it a look of seagrass. Simple things that make a bold statement! good and easy stuff! thanks for sharing! I love your rope lampshade :)! 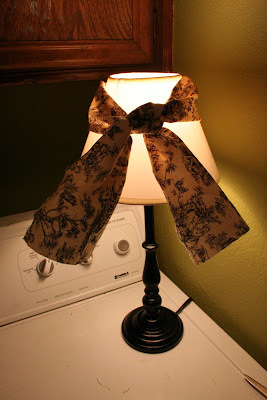 Both makeovers turned out so cute...especially love your laundry room lamp! Love the lamps! I really like the one with fabric...so cute! 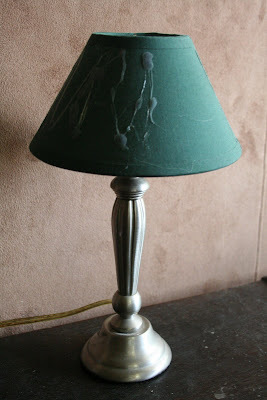 Melissa love all the cuteness of your lamps...simple changes make them look so much more expensive. Thanks for the ideas! I love what you did with those lamps. So cute! OMGOSH! They turned out soo cute!! I am off to find some cheap lamps to copy you! Awesome! 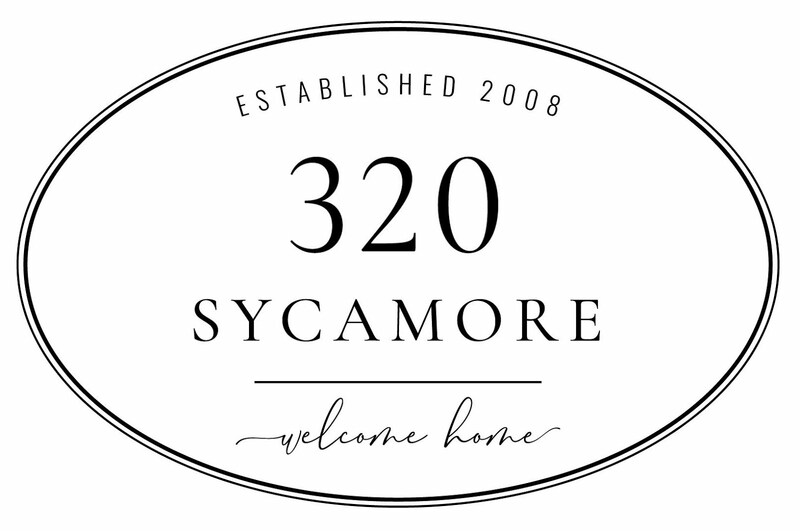 If you feel so inclined, go visit the diy showoff and submit some of your fantastic projects. roeshel is awesome, and I know she would love to feature you. Both lamps turned out so cute! 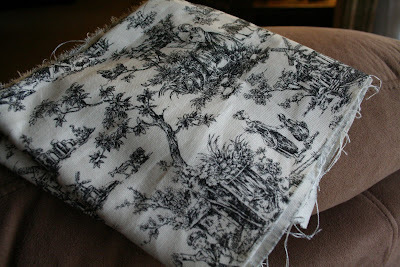 Love that toile! Be still my heart! 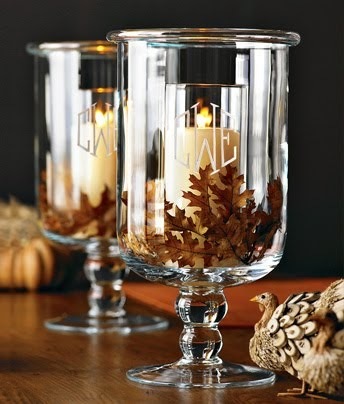 Everyone knows how much I love little lamps, and yours are so creative and beautiful! Love the toile, love the rope. Luvin the texture that the rope gives! So cute, love the rope shade! All of it looks GREAT! 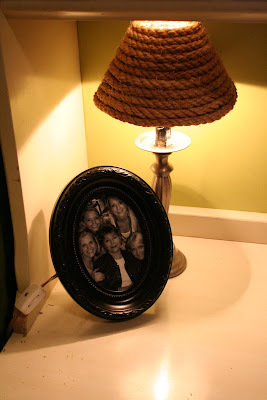 however, that rope lamp is to cute! who new?? It kinda has a beach vibe to it! LOVE IT! Love that rope shade! Very clever. Lamp would look great in my boys' room with their rope drawer pulls. Do you have a huge stockpile of stuff waiting to be paired with inspiration? Little touches made such a difference. The lamps are so cute! I always love toile, but I think my fav was the rope lamp- very fresh! Keep on posting girl! Thanks! the lamps look great. each one better than the last. Look at you go girl! That laundry room must be about done! Can't wait to see it all put together, every project you have done has been fantasic! 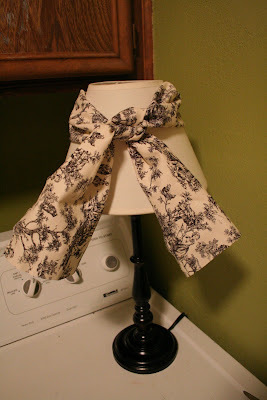 I love that fabric covered lamp so much! Who would have thunk it?! It really is cute and has so much character. Thanks for sharing!